Day 320: A Time to Celebrate . . .
Good things happen. No matter how you slice it, no matter how tough things may be or have been…good things happen. And, when good things happens, it’s always nice to celebrate the moments. Over the past–almost–year, we’ve celebrated holidays, birthdays, anniversaries, graduations, summer jobs, and life’s little victories. In the window of life, these are glimpses into everyday living. But, we tend to celebrate and move on rather than stopping for a moment-stepping back and appreciating what has taken place. Taking a line from the TV show, Cheers when Norm walks into the bar and says to Sam, “Hey, Sammie, it’s a dog-eat-dog world, and I’m wearing Milk Bone underwear!” Well, unfortunately, it IS a dog eat dog world. . .and regardless of underwear, the impact of hard work, dedication and a little bit of perspiration is cause for celebration. No, we aren’t the only people in the world to feel this exhilaration. In fact, it happens to a LOT of families each year. . .twice a year in most cases. Today, daughter #1 received her official Teaching Certificate from the State of Texas. Near as we can tell, it’s a level ABOVE getting a driver’s license! You see, in this state. . .probably in most states, you can’t teach without that state’s license. So, after her four years of work at college–and even though she had already been offered employment–nothing was official until today. . .this moment in time. Finally, the dogs stopped chewing for a moment and we were able to celebrate a major accomplishment in life. Those of you who are teachers, know teachers, love teachers or want to become teachers will know that all the hard work in class–all the hard work in your internships–all the hard work in your student teaching–all that and more can go away in a heartbeat without that certificate. We may have a bigger smile on our faces than she does! It’s very cool to graduate from college. . .it’s extra cool to graduate from college, get your diploma and then get your license to teach. James Bond “aint got nuttin’ on a teacher!!!! With good news like this, we had NO choice but to head out for dinner tonight to Carino’s in San Marcos. A place with better than usual fare, good service and decent prices, we didn’t have too difficult of a time getting a table and Joseph our waiter was attentive, helpful and even managed to open our wine of the night. Since we ‘lucked’ into half-price bottles tonight, we opted for a 201o Domaine Napa Cabernet Sauvignon from Napa Cellars. This is a young wine even with its’ 2010 vintage and the fruitiness came across loud and clear. . .it offers very distinct aromas of dark cherry, currants, and plum with hints of peppery spice. Its’ ripe berry fruit flavors enhanced by subtle oak nuances lead to a long, lingering finish–we can only imagine what the wine could taste like in another year! Still, there was a tartness to the wine that made us pucker more than we’d care to, but overall it’s not a bad bottle of wine. At a retail price around $20 a bottle, you won’t feel like you’ve been taken, but probably won’t go back to it again. From wine maker, Ed Moody, “With its full body, smooth tannins and lengthy finish, this wine will complement a variety of rich, flavorfulfoods such as prime rib, wild game and Italian fare.” Hmm, imagine that–we enjoyed chicken Marsala, roasted chicken romano and pasta dishes with our wine and it stood up to the full garlic and spiciness of the food. We know we’re kind of proud of our kids. They each have talents that will take them far in life. It’s fun to celebrate the moments that are now important in their world. We hope that you’ll take the time to celebrate the moments in your family’s lives. 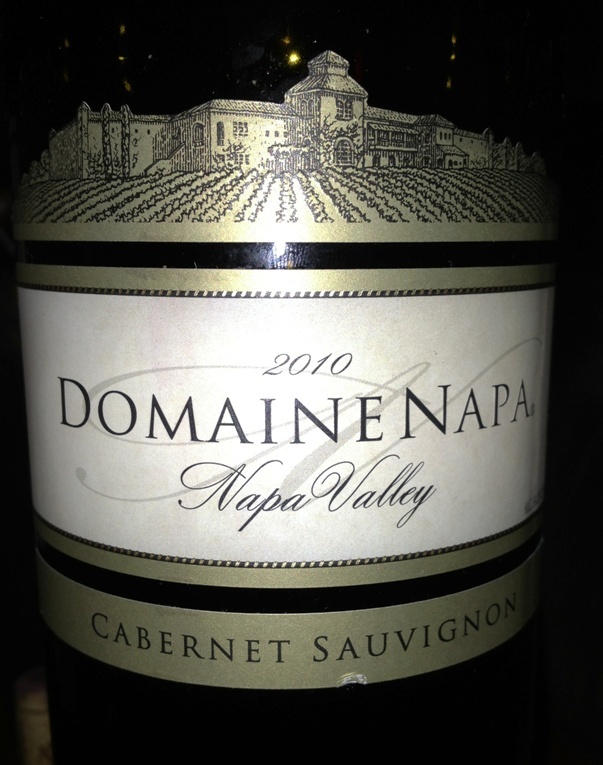 Categories: Uncategorized | Tags: Carino's, Domanine Napa Cabernet, Johnnie Carino's | Permalink.